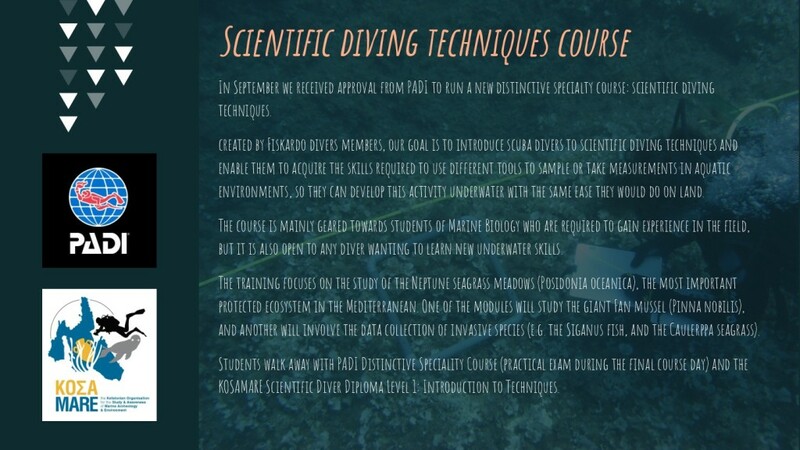 Our goal is to introduce scuba divers to scientific diving techniques in order to acquire the skills to use different tools to sample or take measurements in aquatic environments, so they can develop this activity underwater with the same ease they would do on land. The course is mainly geared towards students of Marine Biology who are required to acquire experience in the field, but it is also open to any diver wanting to learn new underwater skills. 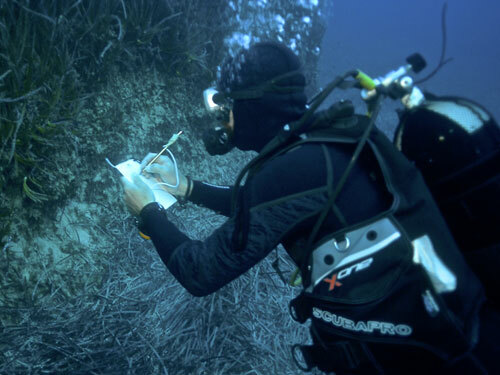 The training focuses on the study of the Posidonia oceanica meadows, a protected ecosystem of major importance for the whole Mediterranean environment. The data collected during each course will be added to a database accessible to researchers.